It's late here, so apologies for this one being quite short. resting Parejo and Guedes and preferring Vezo over Gabriel and Mina over Rodrigo. The first 20 minutes were a bit boring, with neither team inspiring or creating anything of substance. Las Palmas employed a high press and looked a bit better than us when on the ball. Without Parejo we looked unconvincing, constantly losing the ball and when we had it, often just kicking it wildly upfield. There was no focus in the passing and a lack of clear ideas or imagination. On the plus side, Maksimovich was having a decent game, making several good interceptions and our defence, especially Garay and Vezo coped well with everything thrown at them. The first real chance came on the break, but Mina wasted it, shooting tamely from distance when a pass to Nacho Gil would have been a better option. With Las Palmas controlling the game and having over two thirds of the possession and Valencia largely ineffective up front, it was the home side that went ahead. A good combination down the left side saw the ball centred to Calleri, who was able to escape his marker Lato to open the scoring. Just before half time, we had the chance to equalise. Maksimovich anticipated well, won the ball and found Pereira, who returned the ball to Maksimovich, who missed a good chance to level. 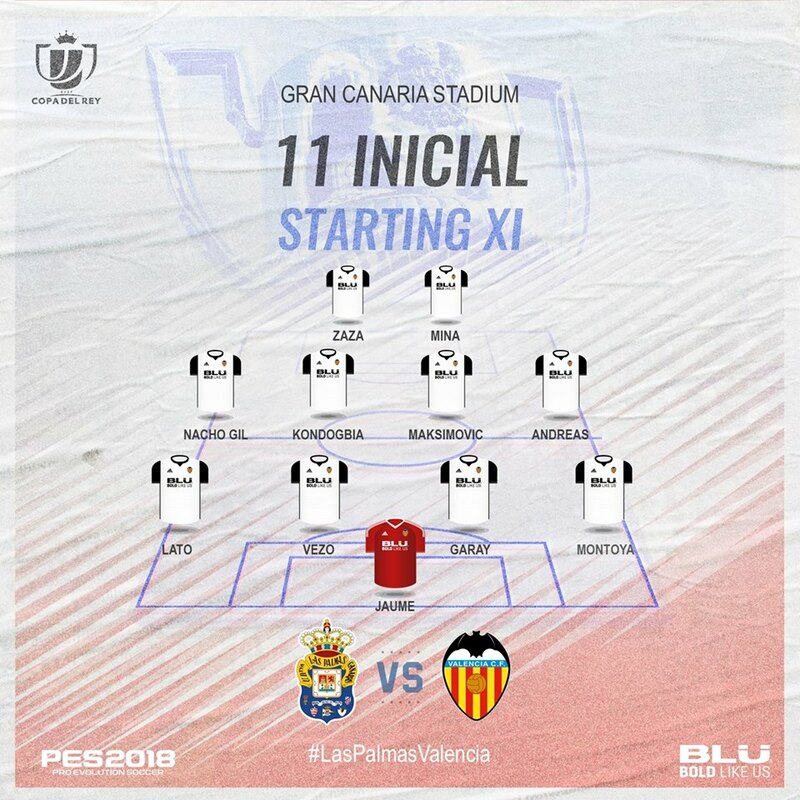 Parejo replaced Kondogbia at half time and Valencia improved in the second half, but were let down by wastefulness from both Mina and Zaza, who both had a poor game. Zaza was probably the biggest letdown and missed a clear chance, robbing the ball and with only the keeper to beat, he decided to try and chip the goalkeeper from distance instead of running on for a one on one opportunity. With the introduction of Rodrigo and Guedes, Valencia improved significantly in the last 30 minutes. Guedes was excellent, a constant threat, had a good penalty shout turned down and was involved in our equaliser, threading the ball through to the overlapping Lato, who centred for Rodrigo to score. Valencia pushed forward in search of the winner but time had run out and Zaza missed another chance. A very inconsistent and uneven performance from us, lacking in the first half and only sparking to life late on, a pattern we've seen in several games this season and the team has to improve on this to maintain our Champions league push. The exits of Rober and Mir have been confirmed, by the way.